How do you know when nail trims are needed? We've never had them done before, but I'm not exactly sure I'll know when she needs it either. They do look long. What do your 'tiels nails look like? In the case that she needs a trimming, any tips? Are human nail clippers fine? Our local bird store does it but if I can do it at home, rather not stress her out any more than I have to. Thanks. Can you post a pic of her nails? I use a variety of perches in the bird cages so they seldom need trimming. 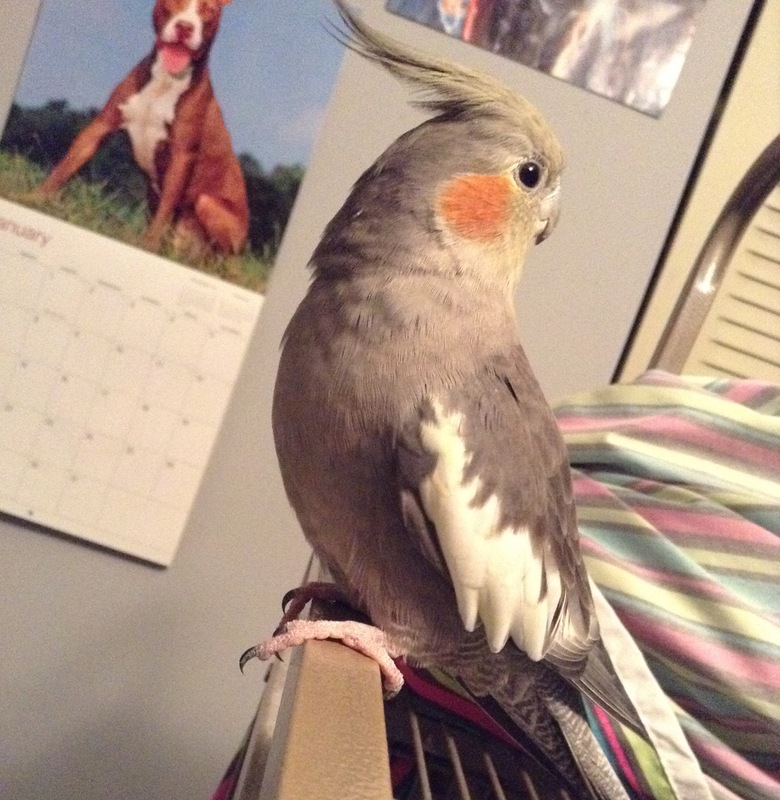 What kind of perches are in Gracie’s cage? Hi River, Cockatiels nails are longer and thinner than the likes of a quaker or budgie. They are ground foragers and the long toes and nails are used for balance. 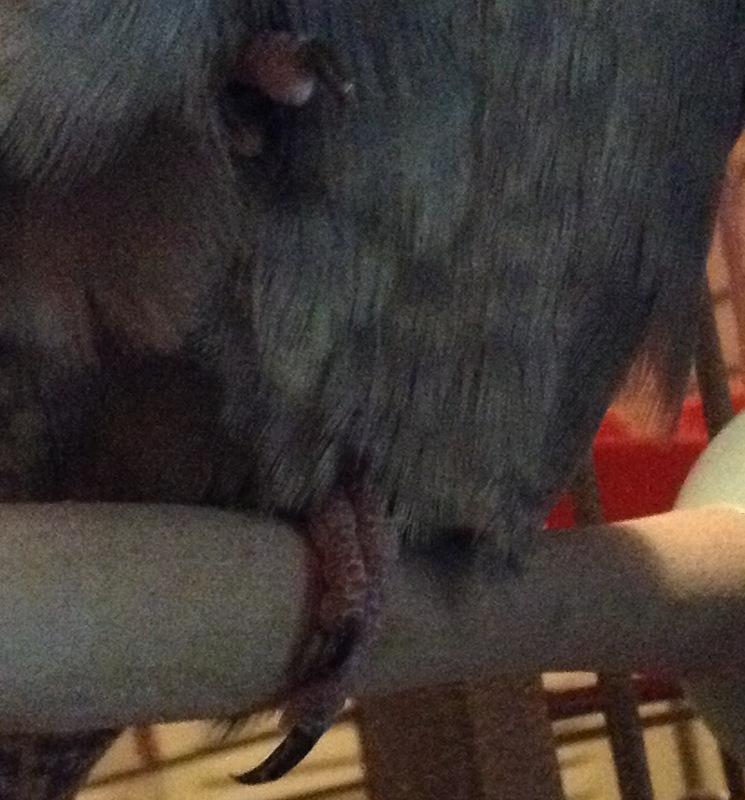 I use natural branches for my perches, and this seems to help keep their nails at a good length. If they seem to be getting their nails caught on things a little trim won't hurt. Be very careful you don't cut into the quick (small vein running down the nail) this can be painful and will bleed. I would say trim 1 - 2 mm ( 1/16in ) at a time. I find the best clippers to use are baby nail clippers. The opening is very small so you can only take a little off. Use alcohol to sterilize the clippers before you trim, and have some cornstarch on hand just in case you take off a little too much and there is a little bleeding. It may help to wrap the 'tiel in a towel to they can't see what is happening and talk calmly to him/her. Hold it tight and get a good grip on the toes just in case she moves. Last edited by Quakerella; 01-19-2019 at 01:34 AM. Its usually us who end up bleeding if we try and trim Casper's nails. I will try to get a picture of her nails later! I'd read that if they push the toes up a bit on a flat surface it was too long, and I think they would, but I wasn't sure. Most of her perches are natural wood, different types. She also has a wavy plastic perch with some toys on it and a short, and weirdly shaped wood one on the door for out of cage time. Her favorite perch is a branch with no bark, it has little sticks coming off of it at the ends that she likes to nibble on. I do want to get more so we can change them up more often, like we do with her toys. Maybe more with bark would be a good idea. 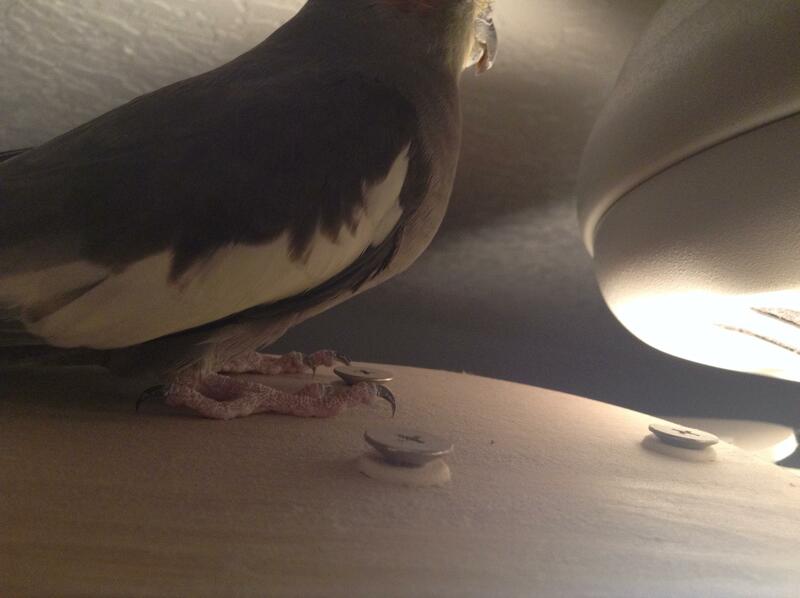 She's out of the cage a lot, though, so she spends a lot of time standing on the metal play top too. I hadn't really thought much about her nails until she scratched me with them recently, lol. I don't mind, but that's what brought them to my attention. They haven't been getting caught on things, though. Last edited by rivx; 01-19-2019 at 06:34 PM. This is the 'door perch' I described, featuring some toes. The lighting isn't so great, but she was busy preening so it was a good opportunity. Sorry I couldn't manage a better one. Hope this works. Last edited by rivx; 01-19-2019 at 11:39 PM. Personally, I would just nip off the tips. They may be just a tad on the long side, but really nothing I would be overly concerned about if it wasn't done right away. ...or just file off the tips with a fine emery board. Not sure if you have them in Florida but willow makes good perches and the bark peels away nicely so is fun for birds that like whittling. If you ask nicely I'm sure the owner of a suitable tree would let you do a bit of selective pruning. I caught a picture of her on a flat surface! The toes are definitely lifted...not sure if that's normal for 'tiels or not. Think an emory board will work for this? Any tips on using it? Sounds a lot easier, lol. We've also been given a play stand with some bark on it. I've yet to sanitize it (it used to belong to another bird) but hopefully she'll want to spend more time on that than her metal play top when it's ready. I don’t think they are super long. Will she play on the floor? My ekkie will chase and toss balls on the floor and toss toys out of a basket. This usually wears off any points. She just needs to get her feet on different surfaces. I also bought my ekkie a flagstone perch and I put his treats on it.